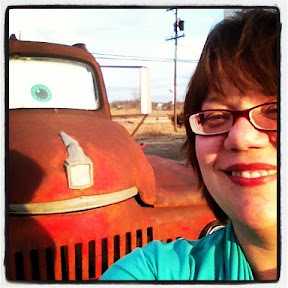 Driving around with a friend, I mentioned that I wanted to see Mater from Cars - or at least the truck that inspired Mater for the movie Cars. He told me it was in Baxter Springs - just a short drive from where we were. It was fun to have a taste of what's on Route 66. Someday, I'll drive the whole thing. Until then, I'll settle for this - and the other locations on my Easter Road Trip 2013.